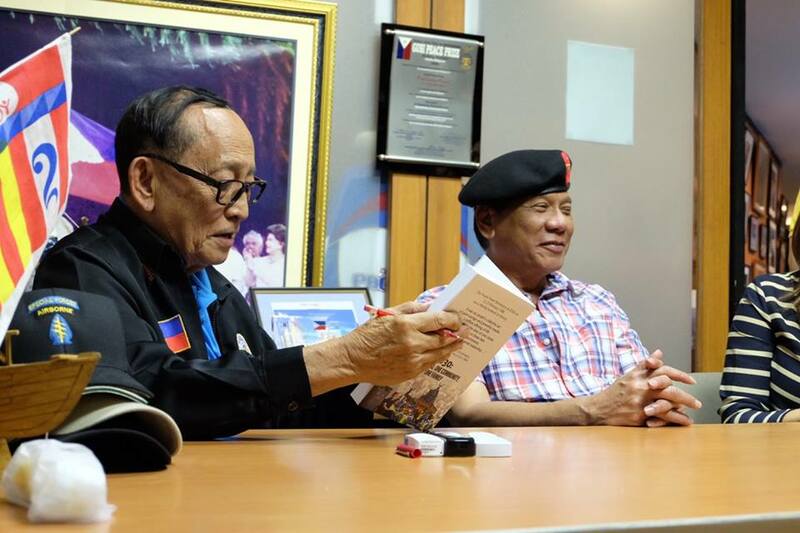 MANILA, Philippines - Former president Fidel V. Ramos on Saturday evening has accepted offer of President Rodrigo Duterte to be the country’s special envoy to settle territorial conflict with China. The 88-year-old supporter of Duterte announced his decision during a meeting at the Marco Polo Hotel in Davao City, ABS-CBN News has reported. Ramos meanwhile said he still need to clarify with Duterte the specific role of his post. But he said the West Philippine Sea issue would be tackled in his meetings with the administration officials. “I said before that there should already be a National Security Council." Former Foreign Affairs secretary Albert del Rosario said that choosing Ramos as head of negotiation panel to resolve West Philippine Sea disputes would be an "outstanding decision." On July 12, the Permanent Court of Arbitration (PCA) in The Hague, Netherlands has ruled in favor of the Philippines. "[The] Tribunal concluded that, as between the Philippines and China, there was no legal basis for China to claim historic rights to resources, in excess of the rights provided for by the Convention, within the sea areas falling within the ‘nine-dash line’,” the tribunal statement said. However, the Asian giant did not recognize the landmark decision.